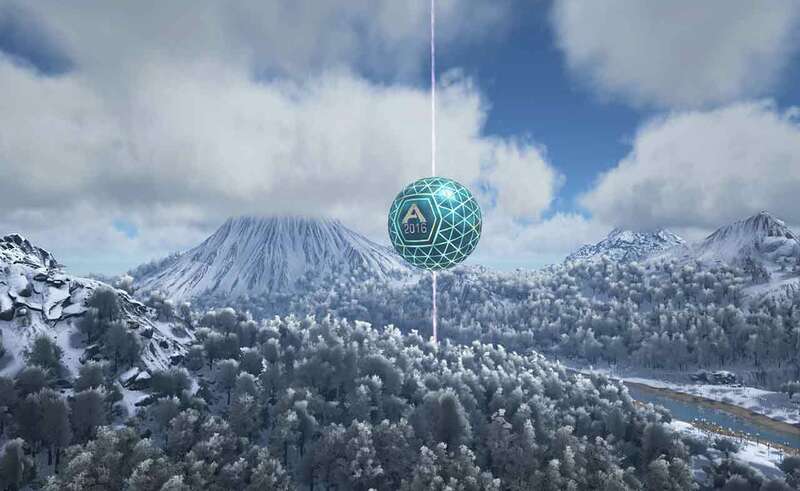 Studio Wildcard today announced the release of a brand new update for ARK: Survival Evolved introducing a brand new dinosaur alongside an exciting limited-time New Year celebration event. The debut of a gigantic prehistoric Kangaroo, the Procoptodon, is sure to stir up some chaos as it’s the first dinosaur to make an appearance in ARK: Survival Evolved that allows for two passengers to ride on the back, the first opportunity players have had without requiring the construction of a large base on the back. The Procoptodon takes on many of the talents of today’s Kangaroo’s, albeit with more teeth, as it’s able to leap great distances and jump over otherwise challenging obstacles with ease. Additionally the team at Studio Wildcard are inviting players to jump into the ring with celebrations for New Years 2016. Beginning today at 12PM EST a massive New Year’s Eve Ball will descend from the skies and will continue to drop until January 1st at midnight EST. When the huge New Year’s Eve Ball finally reaches the ground players will be treated to a fantastical explosion featuring all sorts of goodies and surprises.